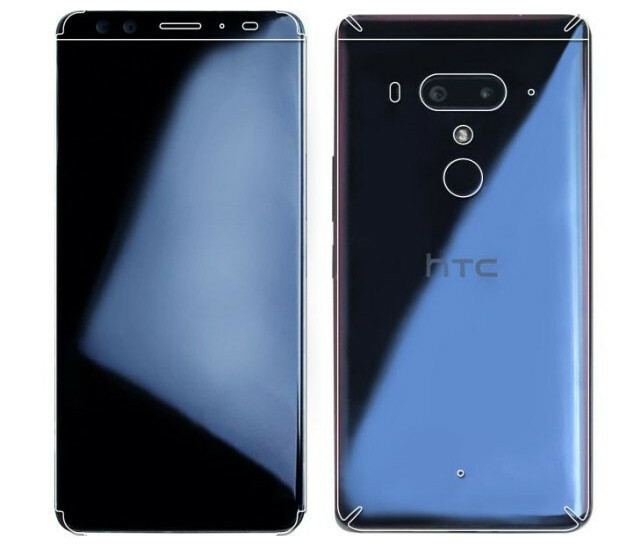 Earlier HTC U12+ images leaked with dual front and rear camera setup and now, detailed specifications of this upcoming flagship device have revealed many of its hidden features. The handset is expected to become official early next month and is also expected to score 110 points on DXO mark surpassing the Huawei’s P20. The smartphone will be coming with features like Edge Sense 2, USonic with Active Noise Cancellation, 3D audio recording, HTC BoomSound, and Hi-Res audio playback. The U12+ from HTC will be IP68 rated for water resistance and also supports Qualcomm Quick Charge 4+ along with Wireless charging technology. According to the rumored specifications, it will be featuring a 5.5-inch Quad HD+ (2880 x 1440 pixels) Super LCD 6 display with Corning Gorilla Glass 5 protection on top. Under the hood, there will be an Octa-Core Qualcomm Snapdragon 845 SoC coupled with Adreno 630 GPU and 8 GB of RAM. The onboard storage is limited to 128GB which can be extended further up to a maximum of 2TB via microSD card slot. It will come out of the box with Android 8.0 Oreo with HTC Sense UI. There are 12MP HTC UltraPixel 4 rear cameras with f/1.5 aperture dual LED flash and OIS and a secondary 16MP rear camera. There will be an 8MP + 8MP dual front camera set for better selfies. It will come with connectivity options like 4G VoLTE and Bluetooth v5.0, GPS, A-GPS and more. Apart from there are other features like USB-C audio, HTC USonic with Active Noise Cancellation, HTC’s BoomSound Hi-Fi edition, Hi-Res audio certified, USB Type-C and NFC. There is a 3420mAh Qualcomm Quick Charge 4+ fast charging battery also to power the handset. Are you excited to see this device? Do you own any devices from HTC previously? Comment in the section below and stay tuned to Android Advices and we will get back with more news and updates on the same.